Facebook chief executive Mark Zuckerberg has been known to hold town hall-style Q&As, but later this month, he’ll hold one with a special guest: India’s Prime Minister Narendra Modi. The country’s 15th prime minster and leader of the world’s third-largest economy will chat with Zuckerberg about social and economic challenges on September 27, and Zuckerberg is encouraging users to submit questions. Answering questions from the social network’s 1.49 billion monthly active usersisn’t new for Zuckerberg. It is the second town hall event he’ll be doing this month — this Tuesday he’s hosting one in which the questions will be entirely about Facebook. Nor will the event with the Prime Minister be his first Q&A with a world leader. With Prime Minister Modi, the focus won’t be on books, but instead on the challenges faced by India and how the world can collaborate to face these problems together. Scoring points with one of the most populous countries might also be a motive for Zuckerberg, especially as Facebook continues to push its Internet.org initiative. 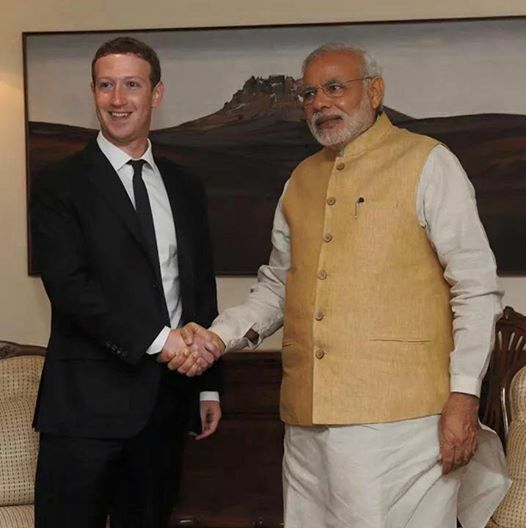 It’s possible that Zuckerberg will press not only Prime Minister Modi, but his constituents as well, to convince them that the Internet.org initiative will benefit India by connecting millions of people with the rest of the world.